Three days after his due date our little one made his entrance into the world. I know that morning I had decided to stop worrying about it, and as I was feeling much better and able to walk around normally (Suddenly! ), the little guy and I went for a stroll around the supermarket and some breakfast together before heading to my mums for tea. Around half three I started to get consistent pains that were getting closer together but I still wasn't convinced. 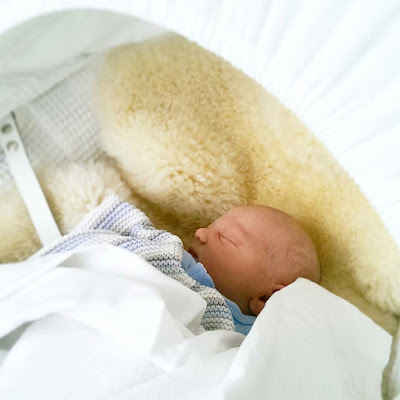 Somewhat reluctantly I went home where Joe was a waiting and got in the bath around half five but after a few minutes was getting painful contractions. After a quick call to the hospital they asked us to go in where they booked us in and got us settled. I tried again to relax in the bath but could not relax so I headed back to our bed where it was confirmed I was much further along than I anticipated! Our beautiful little one wasted no time, and was born at 9.30pm on the 30th April. 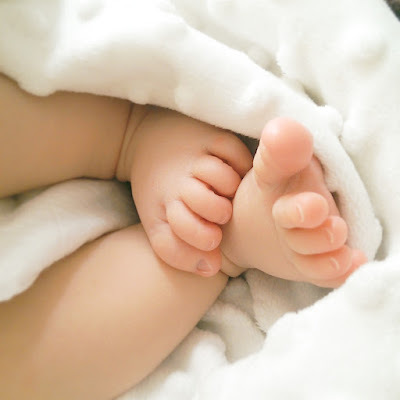 The whole experience of his birth was completely different and although I decided to go with the flow I desperately wanted a natural experience this time and I'm so grateful to say it was. The midwives were wonderful as was the care we received afterwards. it has been the most wonderful time for our little family and we have been surrounded by so much love and kindness. Just like I thought, it is like he has always been here and we can't imagine a life without him. 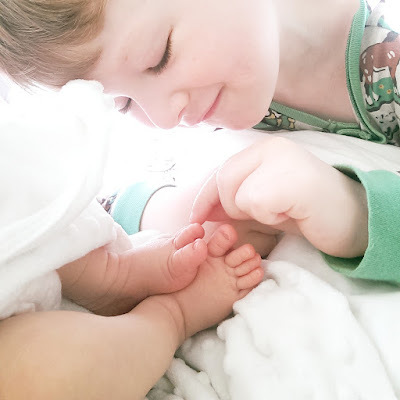 I was so worried about how his older brother would respond to this new person in his life but he has been brilliant and loves him so much; he showers him with cuddles and kisses, proudly telling everyone about his baby brother. It makes my heart ache to see them together and see how proud their dad is of his two boys. Our journey as a four has only just begun but it has been the loveliest start..